Although we've reviewed a tonne of drones over the years, we've never been able to fit one into our pockets... until now! 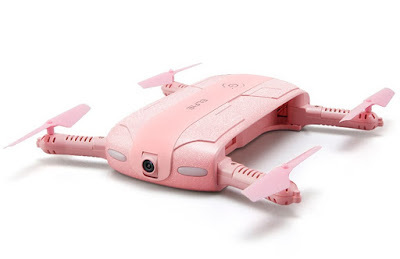 The JJRC Elfie is a small, light, and compact selfie drone that folds up to fit into the smallest of spaces, as well as being easy to fly and possessing a 720p camera. We took it for a test flight to get the measure of it.